Thanks to our amazing clientele, Studio 58 has been voted the top salon in Zionsville 9 years in a row! With Christopher Michael being voted top stylist in Zionsville for the past 9 years! Studio 58 is dedicated to taking the time with each client to give them a personalized consultation to pinpoint the right style and color for our clients. We feel that every client has their own unique hair needs and feel the only way to fulfill those needs is to put the clients head shape, skin tone, eye color and personality into consideration. Schedule your next appointment with us and find true satisfaction with any of our services we offer. We are nestled in Zionsville, IN and service the surrounding Indianapolis areas. Wouldn’t it be nice to delegate less time to making the most of your mane? Our experienced stylists ensure you have a foundation constructed with precision and color that is artfully placed, which will allow you to have a good hair day every day! We take into account your at-home routine, the texture of your hair, and what look will best enhance your features. From there you can choose from a wide range of personalized cut, color, and styling services. Whether you require a sleek blowout for date night, customized balayage to complete a hair transformation, or fresh cut to solidify your signature style, our hair specialists enjoy crafting a unique style that will have you looking and feeling fantastic. No matter your needs, we offer a personalized salon experience that always exceeds expectations. You can pick up hair care products from several sources in Zionsville, but many are only guaranteed when purchased from a licensed professional. We have carefully selected our retail items in order to serve each and every guest, and our extensive training allows us to recommend the best products for your hair texture and lifestyle. 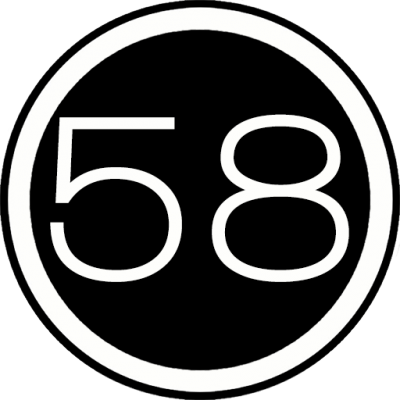 Thank you for supporting us by purchasing professional products from Studio 58. Our experienced staff is committed to nothing short of excellence. We are dedicated members of the professional beauty industry, so we continually take part in educational opportunities that better our skills and allow us to master new techniques. When you visit Studio 58, you will discover professionals that take great care in answering your questions and ensuring that you not only feel relaxed but also confident when you leave.